What is a parenting style? What are the four main parenting styles? What is uninvolved parenting? How can you tell if this is your parenting style? What traits and effects does this parenting style have on your children? A parenting style is simply defined as a way of raising a child. Parenting styles were first recognized and theorized by the psychologist named Diana Baumrind. Baumrind established the idea that preschool-age children could be ordered into three distinct categories of behavior and each one could potentially be correlated with the parenting style they received at home. After undertaking a considerable amount of research, Baaumrind established three major parenting styles. In the years following the research conducted by Baumrind, the esteemed psychologists Maccoby and Martin concluded that one of the original three parenting styles proposed could be split into two. Therefore, establishing four major types of parenting that are widely recognized today. What are the Four Main Parenting Styles? These four styles are widely used today and are useful in determining how your kids are learning from your parenting and how they are likely to end up as adults and be useful to know in order to fix any parenting problems. The four styles are based on two distinct principles named demand and response, which simply means that your parenting style depends largely on how demanding you are of your child and how responsive you are to your child. But, what do each of these styles mean? This parenting style is one that involves responsiveness, high expectations, a supportive and nurturing environment, clear rules and expectations, and independence. Kids that receive this parenting style are often observed to be better at socializing, more successful adults, and have better self-esteem. This style of parenting is defined by a lack of responsiveness, unrealistic expectations, overly strict rules, and expected obedience. On average, studies have demonstrated that kids who receive this type of parenting have a higher delinquency rate, higher drug/alcohol abuse, lower self-esteem and lower academic performance. This form of parenting incorporated a warm and responsive relationship, with little to zero rules or expectations. This form of parenting allows the child to become indulgent and this can often lead to them becoming egocentric, impulsive and entitled. Lastly is neglectful parenting also termed uninvolved parenting which is simply defined as an uninvolved and unresponsive parent who has little to no, rules and is at times or permanently indifferent to their child’s behavior? This parenting style can lead to impulsive behavior, drug/alcohol abuse, lower self-esteem and even suicidal tendencies. You may have been unaware of it until this point but all parents have a specific parenting style. By being aware of your style and learning about its potential impact on your child, you can modify it and therefore help to raise a healthy, intelligent and successful child. The Uninvolved Parenting style is a common parenting style that occurs when parents are unresponsive to their child, have little to no rules or expectations and are indifferent to their behavior. This is sometimes also referred to as neglectful or indifferent parenting. The danger with this form of parenting is that it can have a long-term negative impact on your child’s character traits. Uninvolved parents are not necessarily terrible parents. Largely, the term ‘neglectful’ parenting style is down to an absence of emotion in their handling of their children rather than anything else. However, although there is an absence or severe lack of emotion and thought for their children’s mental well-being and emotions, the children are still provided for and remain taken care of. The unfortunate thing is that often parents who are undertaking this type of parenting are doing so as they struggled to overcome their own harsh childhood. This parenting style lacks the love and emotional support kids need. Just meeting your kid’s basic needs such as ensuring they are dressed and fed are important, but they are not the only requirements for a happy and content child. These parents often expect little to nothing of their children, have no rules for the household or daily routine, and completely lack communication skills with their children. There is a complete lack of emotional support in the parent/child relationship. The bottom line is that kids also require emotional fulfillment and support and although it may be difficult at first, the long terms benefits will be tremendous. If you have realized that this is your parenting style, it is never too late to train yourself, and your child, to be more receptive to other parenting styles and methods. In fact, if you find that some methods of authoritative parenting work for you and your child, use those few things. If you find a few more that work in permissive parenting, use those too. The parenting style you adopt doesn’t need to be completely one parenting style. Its okay to use different methods and styles to best fit the needs of you and your child. Don’t box yourself into one category. The key thing to remember is that there is no such thing as a perfect parent; the main thing is to practice awareness and learn from your mistakes. How Can You Tell What Your Parenting Style is? There are a variety of ways you can determine what your personal parenting style is and there are many tests and quizzes out there (not just the fun ones) that ask simple questions and answers to determine your main parenting traits. Some such tests also allow you to sit down with a partner or other family member and have them grade you based on the answers you provide. If you do opt for this route, it’s best to pick someone who won’t sugar-coat it and someone who has seen you parent enough times to determine what your main style is based on experiencing your parenting first hand. What Effects Does Uninvolved Parenting Have on Your Children? Uninvolved parenting can lead to many different issues later in your child’s life. Children who have grown up with an uninvolved parent often have a lower self-esteem, a higher need to be accepted, are more likely to abuse drugs and alcohol, and are more likely to be less successful adults among their peers. Children who have grown up with this parenting style generally have a lack of understanding of responsibility and have a hard time accepting authority-figures later in life. It is often found that they have a higher risk of being truant or absent from school or work, this is thought to relate to the lack of discipline they get from their parents. These factors combined, lead to poor academic progress and a terrible record of employment, making them an undesirable employee. They also are at a higher risk of pulling away from social situations and tend to struggle with their communication skills. 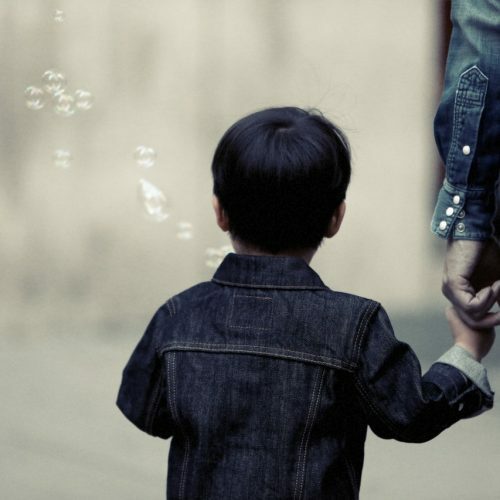 In severe cases, your child may eventually become codependent on someone who is unhealthy for them, such as a ‘parent-child relationship’ or someone else who is uninvolved in their life. It is often very hard for these children to develop meaningful, emotional connections with anyone. Later on in life, these children normally grow to resent their parents. How Can I Change my Parenting Style? If you read this article and have decided that you may have this parenting style, don’t worry! As terrible as the repercussions may sound, there are ways to fix it and strengthen the relationship you have with your child. There are a few different reasons that may be the cause of you becoming an uninvolved parent, and deciding what the best action to take is largely dependant on these often less than obvious roots. The reality is that many children who experience uninvolved parenting grow up to become uninvolved parents and this cycle are a very a common problem. Therefore, if you are aware of this, the best step you can take is to catch yourself before it gets to that point. For instance, be aware of your parenting at all times. Make a conscious effort to listen to your child and make eye contact to let them know you are doing so, no matter if they are 6 months old or 16 years old. This small act will reassure them that you are listening to them and they will feel comfortable around you. A lot of children who experience uninvolved parenting also experience amplified levels of anxiety and depression, so this can almost go hand-in-hand with childhood roots. If you feel that you have anxiety and/or depression, reach out to friends and family or a counselor to help you overcome you’re ‘parenting roadblocks’. Neither you nor your child deserves to have such a disconnected relationship. The counselor may recommend medication to assist with coping with anxiety or depression so that you can gain a healthier relationship with your child. You both deserve this! Occasionally as parents, we can get so caught up in our day-to-day lives that we forget what’s really important. If this is you, never fear, it’s much easier than you think, all you need to do is readjust your focus. A great way to do this is by utilizing a to-do list that prioritizes your child at all times. Make sure that you have time set away from everything else for a few hours a day to spend with your child. If your work hours are long and taxing, make sure you take at least once a week to start developing a healthier and more nurturing relationship with your child. Whatever is causing the relationship between you and your child to be divided, always remember that it can be fixed. If you think you need to make changes, this a great step in the right direction. There are plenty of resources out there that can help you to have a better connection with your child, and learn how to nurture the relationship even further.